The Broncos have a new backup quarterback, as head coach Vance Joseph told reporters Chad Kelly is now the club’s top reserve to starter Case Keenum (Twitter link via Nicki Jhabvala of The Athletic). Former first-round pick Paxton Lynch continued his abysmal NFL run by completing just 6-of-11 passes for 24 yards and one interception during Denver’s first preseason games, while Kelly — the 2017 drat’s Mr. Irrelevant — completed 14-of-21 attempts for 177 yards, two scores, and one interception. Clearly, the Broncos’ decision isn’t solely based on the results of a single exhibition contest, as Lynch also played poorly in two starts last season. Given Kelly’s inexperience, and Lynch’s lack of results, Denver could conceivably aim to acquire a veteran No. 2 signal-caller before the 2018 season gets underway. Geronimo Allison has “quietly established himself” as the Packers‘ No. 3 receiver behind Davante Adams and Randall Cobb, as Ryan Wood of the Green Bay Press-Gazette writes. Green Bay used three Day 3 draft picks on receivers, adding J’Mon Moore, Marquez Valdes-Scantling, and Equanimeous St. Brown in the process, while futures contract signee Jake Kumerow has also shined during training camp. But it’s the 24-year-old Allison, who landed with the Packers as an undrafted free agent in 2016, who is likely to play in three-wide sets. Allison, who would play on the outside and allow Cobb to move to the slot in “11” personnel, put up 23 receptions and 253 yards in 2017. Panthers rookie cornerback Donte Jackson has given head coach Ron Rivera a comfort level in the secondary he hasn’t had in two-to-three years, per Joe Person of the Charlotte Observer (Twitter link). Jackson, the 55th overall selection earlier this year, stands 5’11”, 175 pounds, so he was pegged as a slot-only corner as he entered the NFL. However, Carolina has been adamant that Jackson will get an opportunity on the outside, and it’s possible the LSU product will start in Week 1. In fact, after fellow corner Ross Cockrell suffered a season-ending injury, Jackson may be the favorite to play alongside James Bradberry. Free agent cornerback Julian Wilson worked out for the Titans on Sunday, tweets Aaron Wilson of the Houston Chronicle. Wilson, 26, went undrafted out of Oklahoma in 2015 before landing a contract with the Ravens. 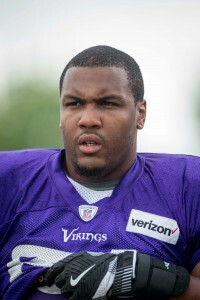 A broken leg ended his rookie season during minicamp, and Wilson subsequently spent time on the Chiefs and Vikings practice squads during the 2016 campaign. A futures deal with the Chiefs in 2017 never led to a serious look, so Wilson signed on with the Calgary Stampeders of the Canadian Football League during the regular season. If signed by Tennessee, Wilson would compete for time on special teams. The Seahawks, Texans, and Vikings have all expressed interest in free agent cornerback Tramaine Brock, but they’re only three of a dozen clubs who have inquired on Brock, reports Ben Goessling of the Minneapolis Star Tribune (Twitter link). The interest in Brock isn’t all that surprising, especially now that he’s no longer facing domestic violence charges. A starting-caliber cornerback rarely becomes available in August, but the 28-year-old Brock graded as the league’s No. 23 corner while playing 95% of San Francisco’s defensive snaps a season ago, per Pro Football Focus. While the Dolphins are expected to work out linebacker Rey Maualuga on Wednesday, Miami could also ask about fellow free agent ‘backer Perry Riley, per Barry Jackson of the Miami Herald (Twitter link), who says “don’t be surprised” if the Dolphins look at the former Raider. With rookie Raekwon McMillan lost for the season after tearing his ACL, Miami is looking for more depth at the second level of their defense. Riley, 29, posted a breakout season in 2016, but hasn’t been linked to any clubs since free agency opened in March. James Harrison isn’t expected to serve as a starter for the Steelers next season, as the club will use young edge rushers Bud Dupree and T.J. Watt in prominent roles, as Ed Bouchette of the Pittsburgh Post-Gazette writes. Harrison played 56% of Pittsburgh’s defensive snaps in 2016 and managed five sacks, but he’ll be used as more of a “relief pitcher” in 2017, says Steelers outside linebackers coach Joey Porter. Entering his age-39 campaign, Harrison could probably use the extra rest, even though he still might be Pittsburgh’s best pass rusher. Bills general manager Brandon Beane said he was “annoyed” at accusations of tanking after Buffalo agreed to trade Sammy Watkins and Ronald Darby last week, according to Michael David Smith of Pro Football Talk. Pointing to acquisitions of Anquan Boldin, Jordan Matthews, and E.J. Gaines, Beane disputed that the Bills aren’t attempting to win in 2017. However, each of those three players’ contracts will expire in 2018, and the driving force behind Buffalo’s two deals seemed to be the receipt of draft pick capital. The Cowboys worked out defensive back Julian Wilson today, tweets Jon Machota of the Dallas Morning News. Two other defensive backs — Dejaun Butler and John Green — also auditioned for Dallas and were signed, a likely indication that Wilson won’t be joining the roster. Of the four players listed above, Hughes is the only with NFL experience. The former fifth-round pick appeared in 16 games during the 2013-14 seasons with the Colts, then played in nine games over the past two years with the Giants. All told, the 27-yar-old Hughes has managed 17 tackles, two fumble recoveries, and one pass defensed. In other Kansas City news, the Chiefs are expected to tender restricted free agent safety Daniel Sorensen, according to Terez A. Paylor of the Kansas City Star. At present, it’s unclear at what level Sorensen will be tendered. The Vikings are set to promote offensive lineman Willie Beavers from the practice squad to the active roster, according to a team press release. In related moves, wide receiver Isaac Fruechte and guard Sean Hickey were added to the practice squad. Defensive back Julian Wilson was cut from the p-squad to make room. Beavers, a guard out of Western Michigan, was selected in the fourth round of this year’s draft. However, he did not make the Vikings’ cutdown to 53. Upon clearing waivers, he was signed to a practice squad deal. Now, he may be on the active roster this weekend if Alex Boone‘s hip keeps him from playing. Beavers played left tackle in college, but the Vikings would like to use him at multiple spots. With Boone hurting, Beavers’ first shot could come on the interior line. Lewis-Moore, the Ravens’ sixth-round pick out of Notre Dame in 2013, had a tough beginning to his professional career, landing on IR in each of his first two seasons with the club. He finally made cracked the 53-man roster last year, appearing in five games for the Ravens. Baltimore has always liked his upside as a pass rusher, but he found himself squeezed out of a deep defensive line group this season. Cutting Brooks was a bit of a surprise, as the former third-rounder was playing well early in the preseason. There was some optimism that Brooks would be able to leapfrog former first-rounder Matt Elam on the depth chart, but the 25-year-old was unable to carve out a role during his two years (plus preseason) on the team.